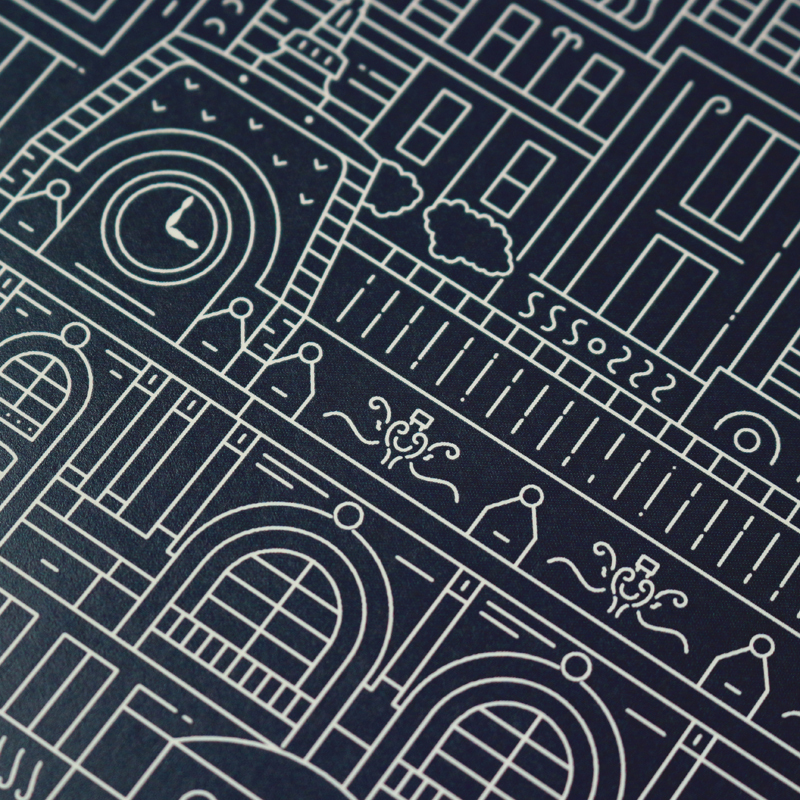 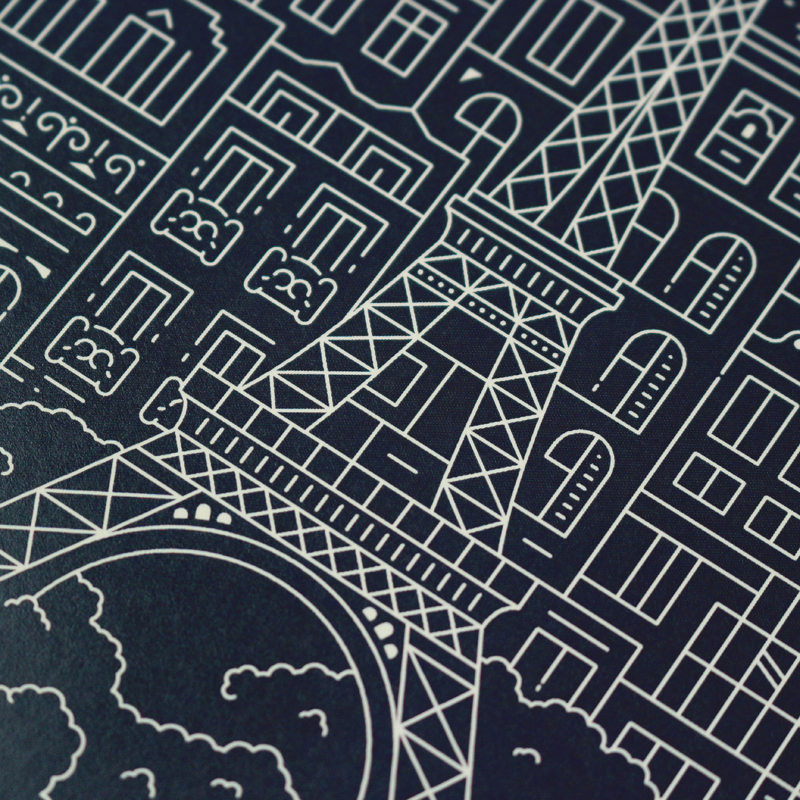 Our 'blueprints' series is inspired by intricate architectural drawings. 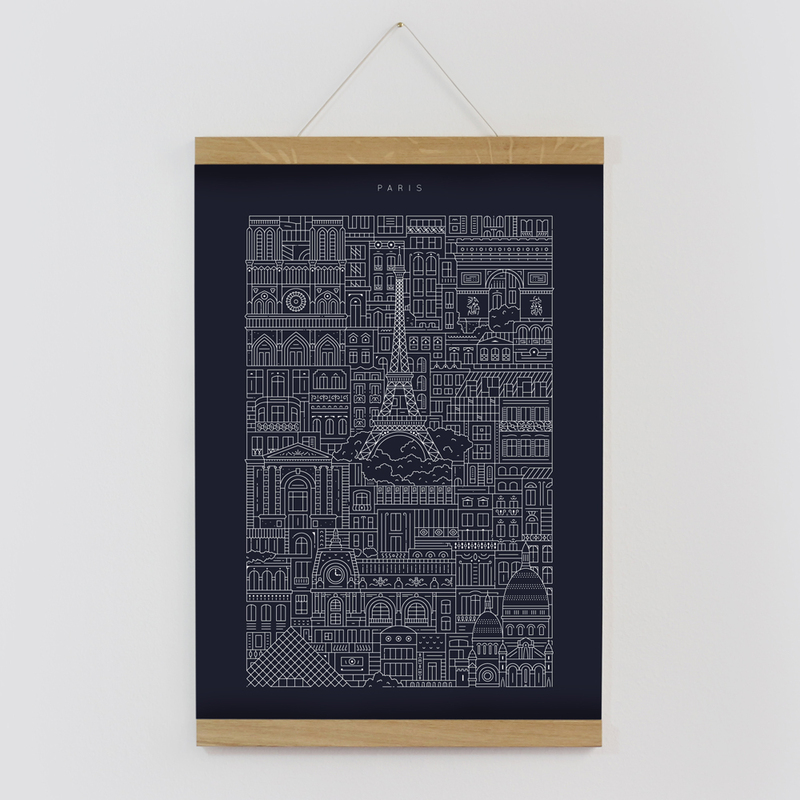 These prussian blue prints capture the charming complexity of different cities. 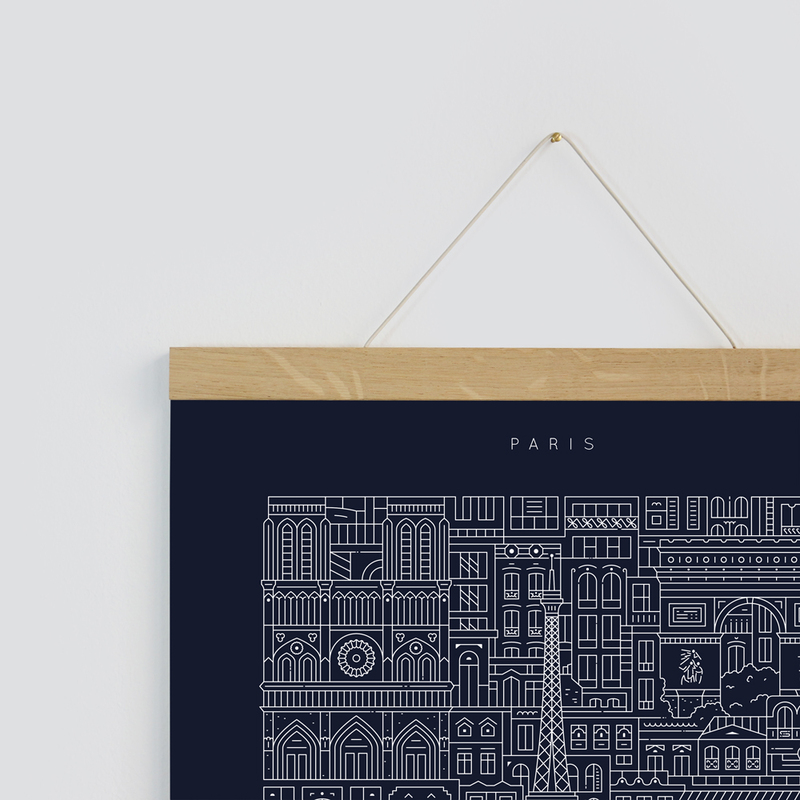 The Paris blueprint, features the Eiffel Tower, Louvre, Notre Dame and Champs-Élysées.